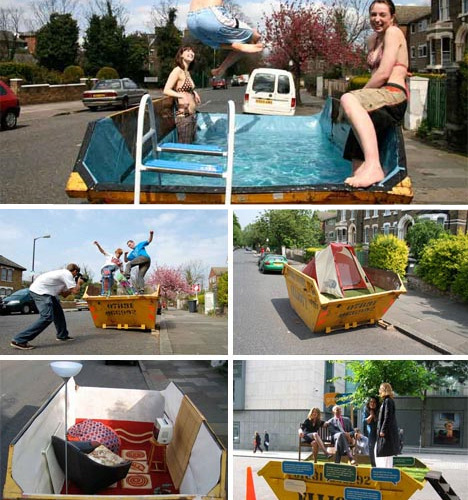 How many different ways can you upcycle a dumpster? 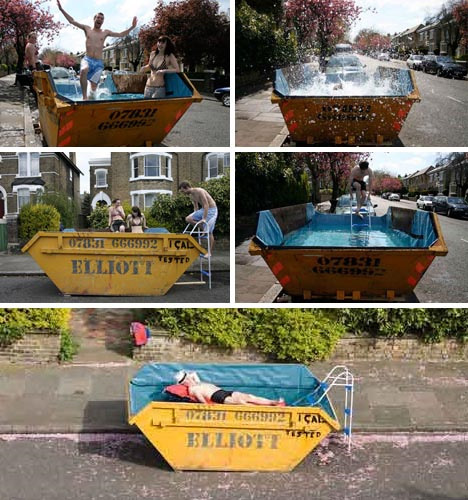 In a project called ‘Skip Conversions’, eco-conscious artist Oliver Bishop Young proved that what used to be grimy, unsanitary trash receptacles can be transformed for a myriad of uses including swimming pools, skateboard ramps, gardens and even public toilets. The Goldsmiths University graduate created a stunning urban art project that highlights the versatility of what many people consider a single-use item. 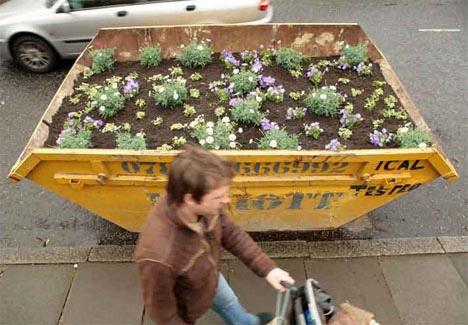 It brings together guerilla installation art, recycling, upcycling and freeganism. Part of the charm of this installation is its accessibility, with converted dumpsters located on public streets, giving passersby a chance to not only change their perceptions of what dumpsters are for, but interact with the upcycled art. 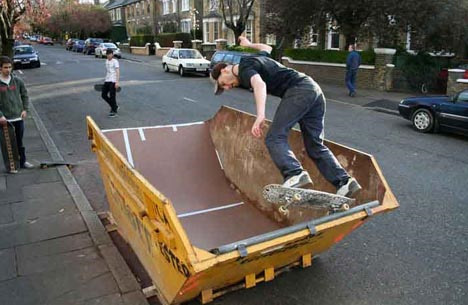 Simply adding a custom liner and some water gives dumpster diving a new meaning, while a few pieces of bent plywood and tape create a miniature skate ramp. 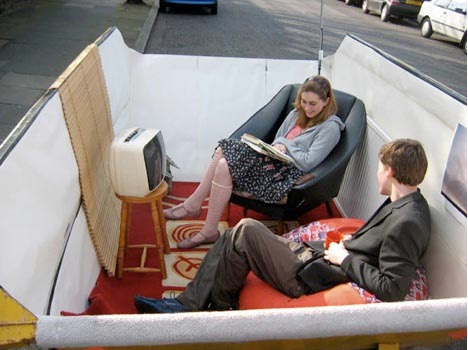 A rug, television and seating create a cozy little living space, soil and seeds bring some color to urban environments and a bed of grass becomes an impromptu stage. Though the project is no longer active, ‘Skip Conversions’ is a great example of just how creative people can get with adaptive reuse, literally transforming trash into treasure in a way that also unites communities for fun outdoor activities.